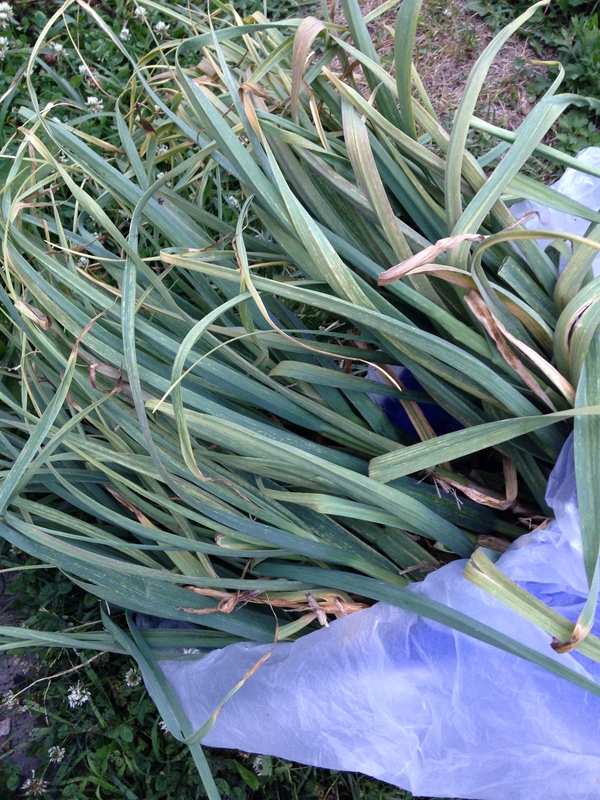 The garlic was plentiful this year. Having planted it in September, the “early italian” variety is harvested during the first week of July. Even the brutal winter couldn’t stop this great crop we got. 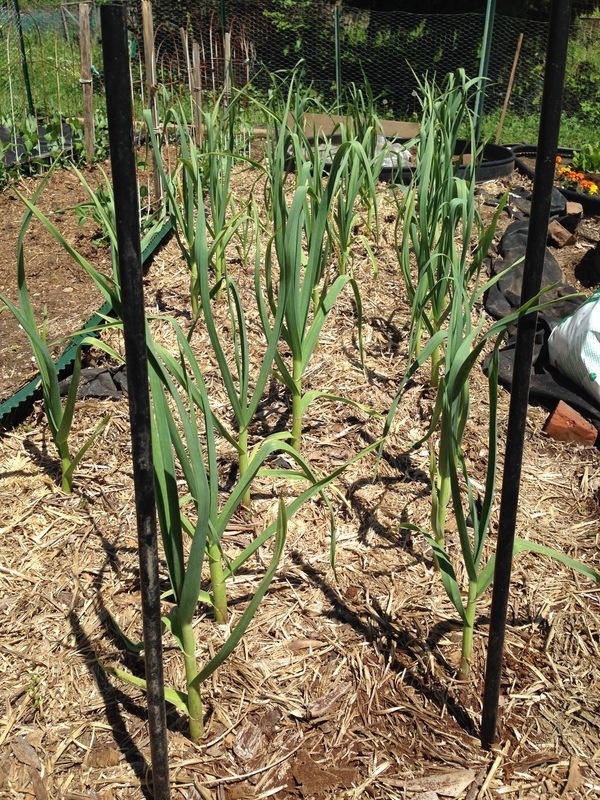 This shot was taken mid June when the garlic was approximately 18 inches high. It ultimately gained about an additional 6 inches to full maturity. At this point I cut off the roots and the long dried out stems. I gently rub the outer skin of the garlic causing a few paper layers to come off, carrying the last of the dried soil with it. The final product looks like this and is ready to be stored. We have used wicker baskets and brown paper bags to store the bulbs and have had good success, most of the produce lasting up to a year. This year we are usung some fruit netting that we got when we purchased melons. I’ve hung the garlic in the downstairs workshop. There is no odor as the garlic dries. 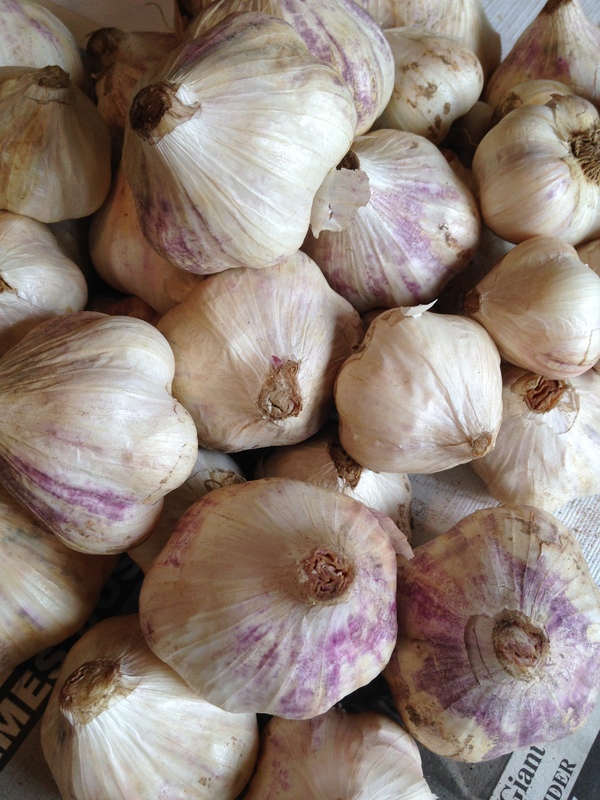 If you notice a strong smell the garlic is is either sprouting or is moldy. Both of these situations are rare when the garlic is freshly picked. usually it’s a pretty painless procedure. 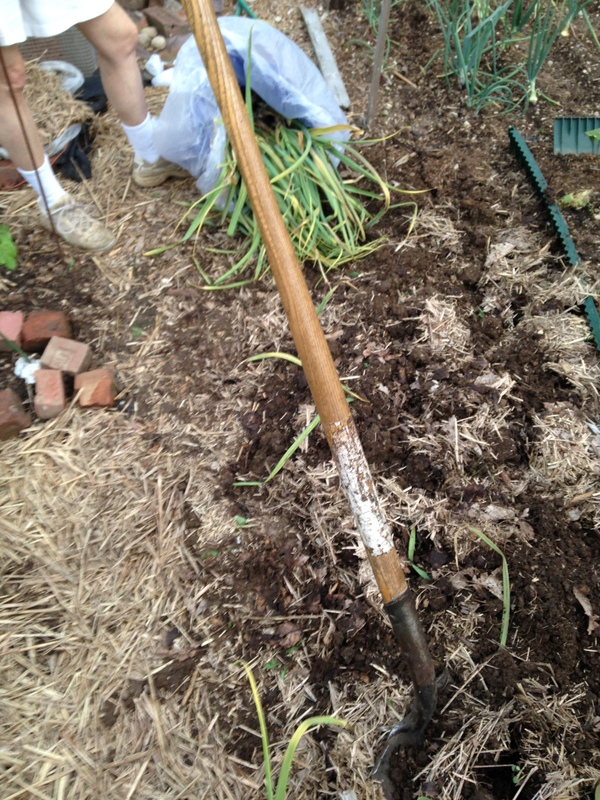 This entry was posted in Gardening, Growing Vegetables and tagged garlic. Bookmark the permalink. Where can I find planting garlic? I never see it in the stores. Hello Lisa. years ago I just bought th ebest looking garlic in the supermarket and planted it. 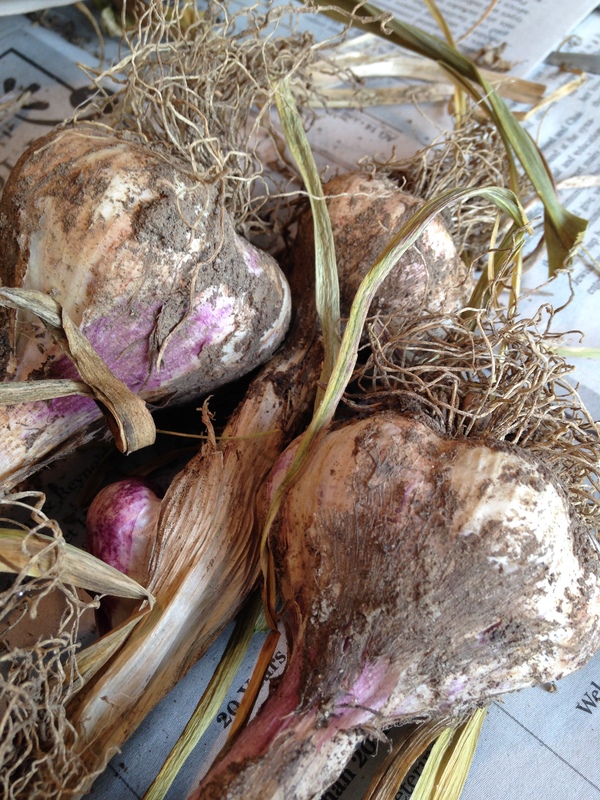 It turned out just OK. Let me suggest that you go online and search garlic bulbs for planting. There are a bunch of good sources. I usually get mine from Burpee but there are lots of choices.